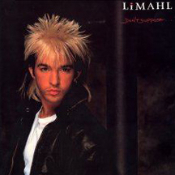 We’ve had some news come through to update us on the latest situation with the release of the ‘Don’t Suppose’ CD from Limahl on the Gold Legion label. After a long worrying silence and removal of the product from the label’s website, news is feeding through to fans that the product is still under production and is now scheduled for release at the end of May. Limahl has just completed the interview for the liner notes and the artwork is almost finished. Gold Legion apologise for the delay and will be looking to keep fans updated via email in the coming week. The CD will be shipped out to fans as soon as it arrives with them. This will come as good news to the fans who have eagerly awaited getting hold of this one. Many thanks to Da’Ron and theraggedtiger for the updates. Let’s hope this is not just another tactic by Gold Legion…. I will be so very happy when I have my CD!! Maybe the original intended release date was just a little too optimistic? And??? Is there any news on this topic??? Another two months passed by. Still NOTHING. This is making fools out of all of us. Will Kajagoogoo ever tour the U.S.A.? Who Knows Carla. I think there have been offers since the full reunion, but nothing that ever became a reality.